I’m sure that like me, you want to spend your time creatively, rather than drowning in the technical aspects of your chosen DAW, then anything that helps speed up your workflow is important. 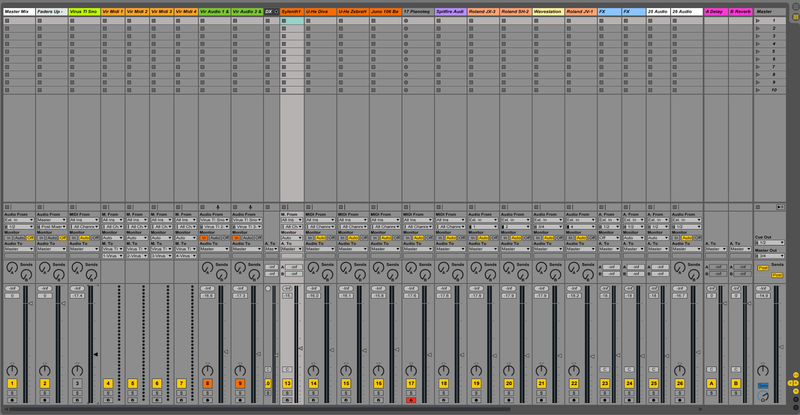 In Ableton Live, using templates is one of the biggest time savers when you are starting a new piece of music. 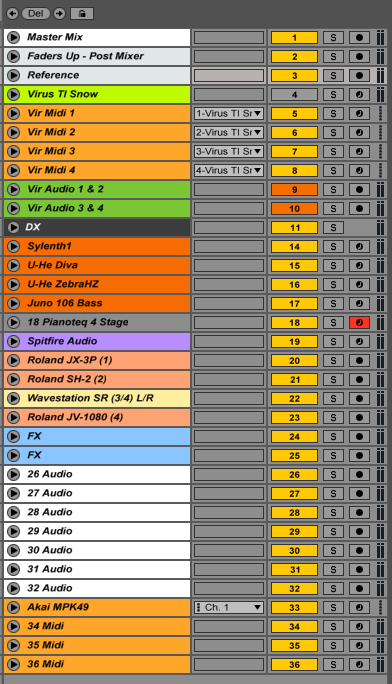 Ableton comes ready loaded with a set of templates which you can use. 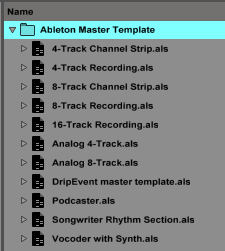 Look under the Live 8 Library and you will find the Ableton Master Template folder. Double-click any of these templates to load them. However, that’s only the start as you can add your own Audio and Midi tracks with your preferred devices and effects and save this as your own template. 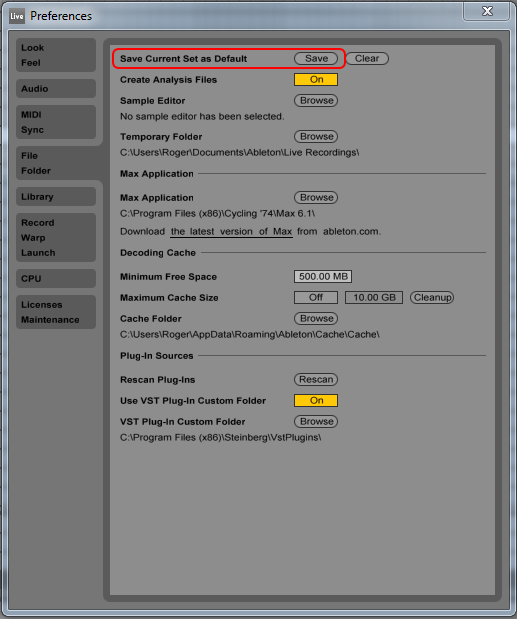 Use ‘File/Save Live Set as‘ and place it in Ableton’s Template folder in the Ableton Library. As an example, you may choose to add an EQ 8 and Compressor to each Audio track and a Simpler to each Midi track. Note : the default template used when you create a new set, resides in Live’s Preferences folder rather than in the Library, so If you want your template to be the default one each time you open Ableton use ‘Options/Preferences/File Folder‘ and click the ‘Save Current Set as Default‘ option. The tracks you want in your Template will depend on your workflow and the instruments you have. The default contents for each audio / midi channel will also be your personal choice, however, you might imagine to add a Compressor to drum tracks and a Reverb to Hi-Hats for example. A good tip is if you add many instruments and effects to your tracks, switch them off to save computing power. De-activated devices in Ableton use no power so you can add as many as you may need – only switch them on when you need them. Think of it like walking into a fully equipped recording studio with all the instruments laid out ready for you to start creating.